Sharon Long recently interviewed Elaine Viets, award-wining author of 29 mysteries in three bestselling series. 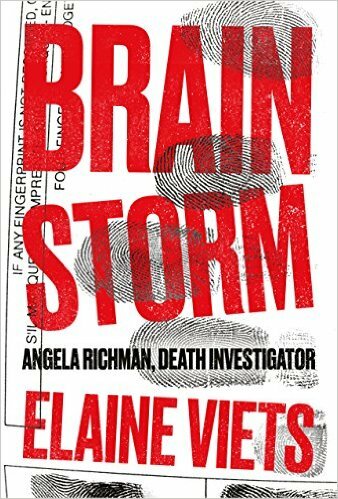 Elaine answered graciously questions about Brain Storm, the first Angela Richman Death Investigator mystery published by Thomas & Mercer. A major part of Brain Storm is Angela’s stroke and recovery which I know you personally went through. How difficult was it writing about that? Did you find it cathartic? Brain Storm was extremely difficult for me to write. It took more than seven years before I had the nerve to tackle the subject, and then I did it only because my agent, David Hendin, said it was time. He was right, but while I wrote this novel, I had to struggle relive bad memories and nightmares from a very low time in my life. I’m glad I wrote the book, though. Every writer has what she calls the book of her heart and Brain Storm is mine. It’s about my strokes and brain surgery, but it’s not what my grandfather would call an “organ recital” – a recounting of my ailments. Brain Storm is also an entertaining mystery and a look into the hospital world, as well as the death investigator profession. Death investigators are sort of like paralegals for the medical examiner. At a crime scene or unexplained death, the DI is in charge of the body and the police handle the rest of the scene. Angela Richman is a death investigator and I you know you went through that training yourself. Was that before you started writing? Can you tell me more about that experience? Back in 1997 when I first started writing mysteries, I took the Medicolegal Death Investigators Training Course for forensic professionals. To write the Angela Richman, death investigator series, I wanted to update my knowledge. I’d already written the first draft of Brain Storm when I took the two-credit college course again given by St. Louis University’s School of Medicine and I’m glad I did. So much had changed during the intervening years: there were many scientific advances, including improved techniques for using DNA, and other investigative tools. 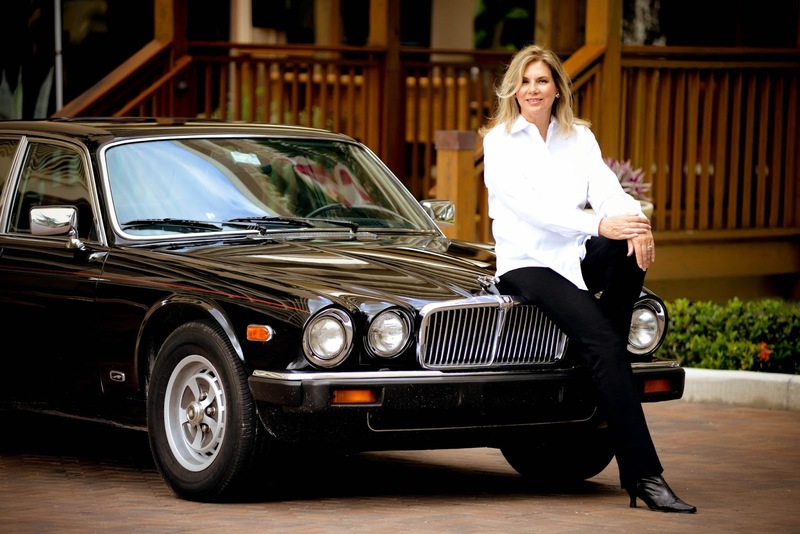 Janet Rudolph, founder of Mystery Readers International, says the Angela Richman series is the only mystery series featuring a working death investigator. Brain Storm is your first medical novel and I know many readers have read your cozy books. Was this easier or harder to write? Easier. I started writing hardboiled novels with my first series, the Francesca Vierling newspaper mysteries. When Random House bought Bantam Dell, that division was wiped out and I switched to traditional mysteries with Penguin in New York. After the Dead-End Job mysteries took off, Penguin asked me to try a cozy series, the Josie Marcus, Mystery Shopper mysteries. That was supposed to be a two or three book series, but it lasted ten books. Writing the darker Angela Richman, death investigator mysteries was like coming home. Right now, I enjoy the dark side. What is the best thing that has happened to you as a result of writing Brain Storm? Switching genres was risky, and I was delighted that so many readers told me they liked the new series and took the time to post reviews on Amazon and other sites. Several readers said Brain Storm gave them insights into what it was like when their family members or friends had a stroke. I was especially touched by a woman who said Brain Storm comforted her when her neighbor, who I believe was nearly a hundred years old, passed away after a stroke. The reader said Brain Storm made her feel that her friend and neighbor hadn’t suffered. What is the best mystery you read last year? That’s a tough one. I’ve read so many good mysteries, it’s hard to narrow it down to one. I really enjoyed Night Shift, the latest Midnight, Texas, mystery by Charlaine Harris, and Ann Cleeves’ Thin Air, which is part of her Shetland mysteries. I’m a big fan of PJ Parrish, William Kent Krueger, Jeff Abbott, and David Ellis. I could fill the rest of this page with names. We’re in another golden age of mystery writing and there are so many choices. When will the next Angela Richman book come out? What is it about? Fire and Ashes, the second Death Investigator mystery, will be published in July 2017. Angela Richman investigates a deadly fire in the exclusive, gated enclave of Olympia Forest Estates. The DI watches a mansion go up in a fiery blaze. Seventy-year-old Luther Delor, who owns a sleazy, profitable chain of payday loan stores, dies in the fire. The drunken, bed-hopping rhinestone cowboy scandalized the community when he left his wife for a twenty-year-old Mexican-American manicurist, Kendra Salvato. She’s accused of killing him and setting other fires in Chouteau County, Mo. Kendra is being railroaded to death row as a gold-digging killer. The Forest burns with prejudice and betrayal, and Angela has to fight it with forensic facts. Meanwhile, I’ll be publishing an Angela novella called Ice Blond, to bridge the gap between novels. Ice Blond is about Juliet, a beautiful, rich sixteen-year-old girl who disappears after a holiday party and is found frozen in a creek. She’d sneaked out of her house to date a mechanic’s son, and the Forest wants the boy arrested for her murder. But there are other people who wanted Juliet dead, including a friend’s jealous mother, who believes her own daughter should be queen of the local ball, and a boy from her school who’s in love with her and hates that she’s dating someone from the wrong side of the tracks. The forensic investigation reveals a surprising twist to the girl’s death. Holy cow I didn't know there is a new series. Totally excited! The interview with Elaine Viets grabbed my attention. My Mother died at a very young age from a stroke so I've ordered this book and look forward to reading it. I'm so sorry you experienced this extreme health challenge and am glad you are well. Thank you for tackling the book. I love the Dead End Job series and have followed all of the Elaine Viets series. I am so excited she has a new one! This is such a great book and I know it will be a wonderful series. I appreciate Elaine taking the time to do the interview with me. Such a terrific woman and author! Pretty impressive on the journey needed to undertake this book. Some of the hardest things we do have the greatest reward. Thanks for sharing! What a difficult journey! The things that are very hard have such a huge reward. Thank you for sharing!